I had mixed feelings about going to Ngapali Beach on the west coast of Myanmar. The guidebooks said that it was the most popular beach in Burma and I am not a big fan of busy. I had talked to people, that hadn’t been there, that said it was crowded and overpriced so they were looking for someplace “cooler”. But, after our little adventure of trekking over 50 miles in the mountains of central Myanmar, we were really wanting to retire to the beach for few days and soothe our aching feet. So we threw caution to the wind and got on the morning flight from Heho to Thandwe, the closest airport; without hotel reservations and ensure expectations. 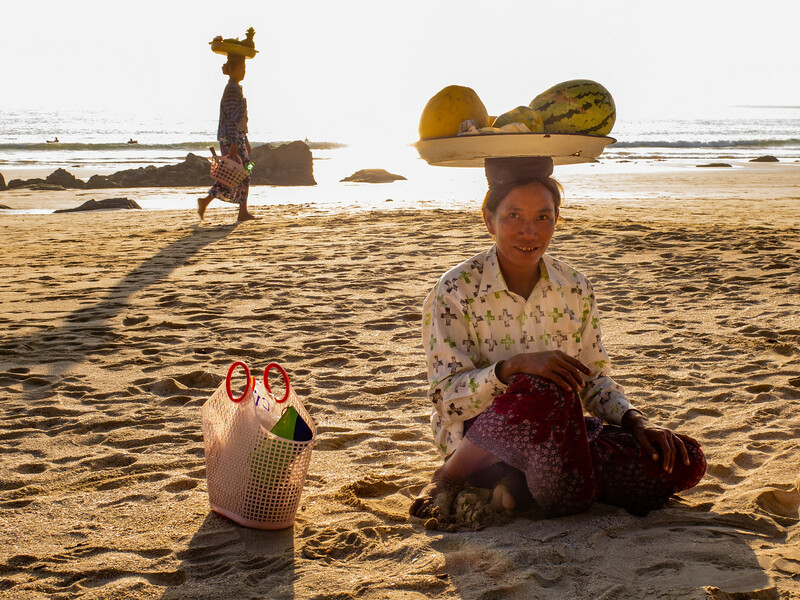 At Thandwe we found a cab, negotiated a (very fair) fare to the beach and hoped for the best. The cab driver spoke good English so we, skeptically, asked him for his advice for budget accommodation. He sped up a bit and took us straight to the rather regal sounding Royal Beach Hotel. From the outside the place looked a bit worn so before we committed we asked to see our room. Fortunately, there were several guests about so we asked them how they liked the hotel. The first guy, an Australian, said he came for two days and had been there a week. A Dutch girl that we saw sitting on her porch said she had planned to travel three weeks in Myanmar but had been at this hotel for two weeks already. We didn’t know exactly why this unassuming place caught so many travelers in its vortex but we knew we had found the place! We took a room right on the beach for two nights, then three, then four and finally five. 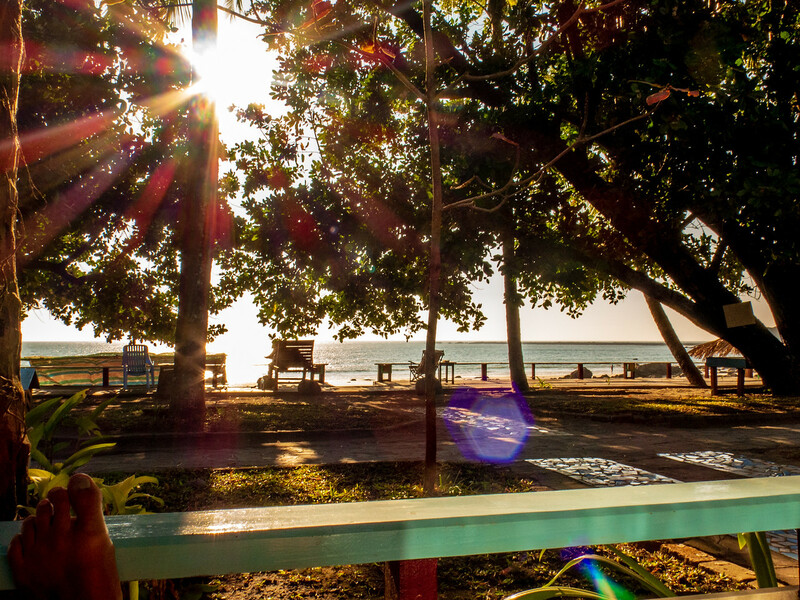 The views were great, the atmosphere was chill and the friendly locals seemed to enjoy the beach as much as we did. Every day there was a soccer (football) or a volleyball game, the breezes off of the Bay of Bengal were cooling and the sunsets were spectacular. The seafood at the beach shack restaurants, only a few hundred meters away, was fresh, delicious, plentiful and cheap. The beers were cold, the beaches were clean, the touts weren’t aggressive and the staff was amazingly friendly and efficient. It wasn’t fancy but it was exactly what we needed at this point in our adventure. 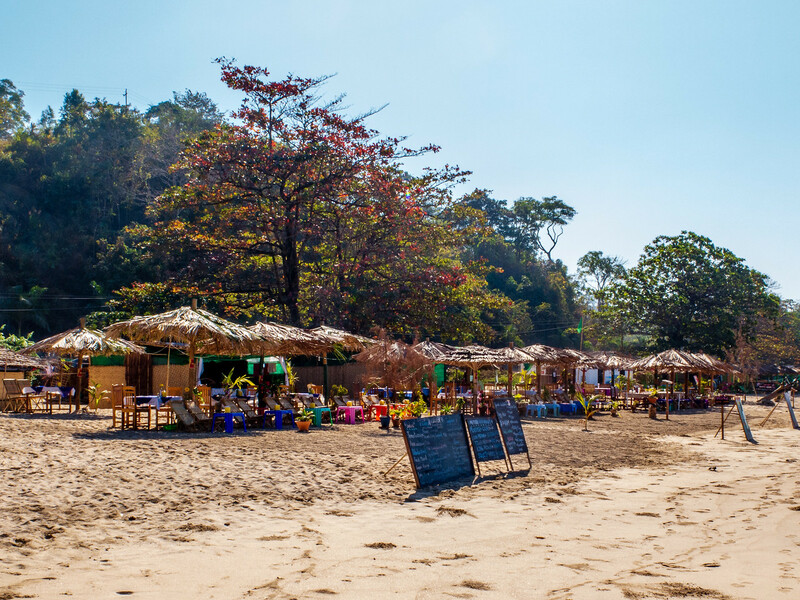 The nearest airport to Ngapali Beach is Thandwe Airport. Most mid-range and luxury hotels provide complimentary transfers and have dedicated desks in the arrivals area. Otherwise, taxis are available, if like us, you have no idea where you’re heading! Note: There are regular flights all year round from Yangon and Sittwe but flights from other locations in Myanmar are sometimes canceled, especially in the rainy season. It’s also possible to take a bus from Yangon. There are air-conditioned buses available but the journey takes 11-12 hours and at times, the roads can be quite rough. What a great find. Like you I hate busy spots but there is clearly a lot of appeal to this place. 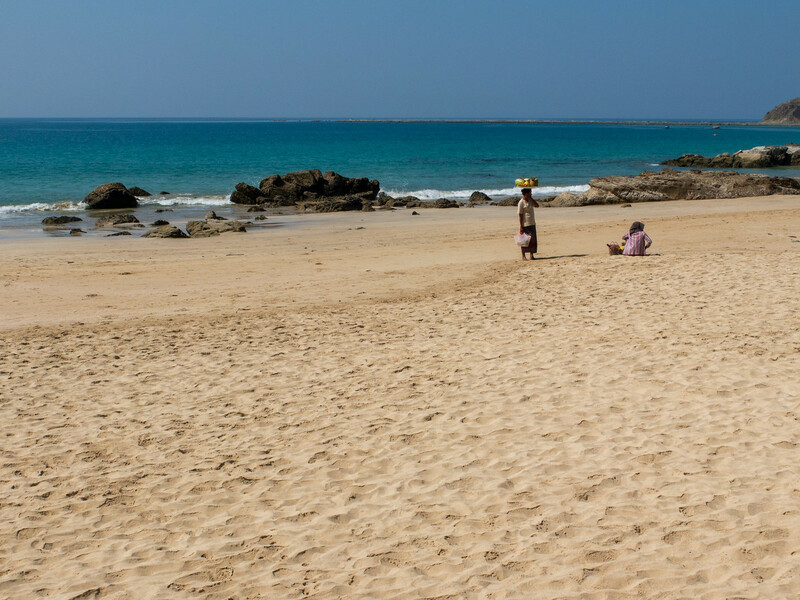 Such a wide, sandy beach with a lovely setting and great locals. I love how you all ended up staying longer than intended. There can’t be a great endorsement for a place than that. Don’t you just love it when you happen across surprises like this. On my next trip to Myanmar I will definitely head to the beach as last time I stayed inland the entire time. Getting to the beach back then was a real trek overland. This looks like a great place to chill after a hard slog.